Working with St. Francis Seraph Ministries, The Franciscans are spearheading a very unique partnership with local non-profit organizations. 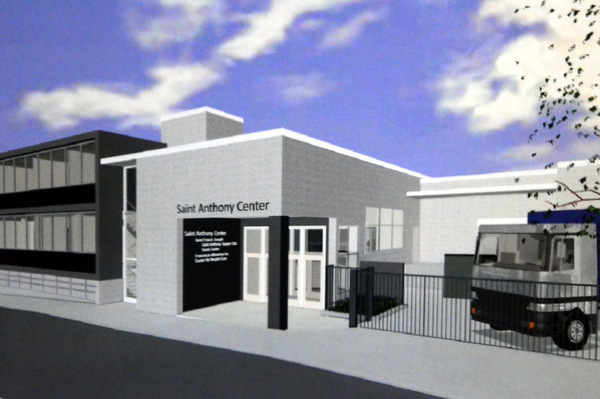 The new St. Anthony Center (SAC) will become a “hub of services” all in one place to serve the poor. Currently the old St. Anthony Messenger building at the corner of Liberty and Republic Streets is being remodeled and when it is complete this new facility will house 6 different social service agencies at one location. sewing, quilting and jewelry making empowering women into job skills and small business opportunities; Cooking for the Family teaches families basic cooking and nutrition skills to feed their family affordably, using locally grown food. • Tri-Health Outreach Ministries provides R.N.’s and Community Care Workers for home visits to the elderly and pregnant women in the urban core. This program of personal health care within local neighborhoods keeps overall medical costs down while offering a higher level of medical care to the most vulnerable in the community. • Center for Respite Care is a 24 hour medical recovery facility for the homeless when they are released from the hospital. Clients receive medical care, personal support and assistance to break the cycle of being chronically ill and homeless. • Mary Magdalene House is an oasis of hospitality providing a safe place for those in need to take a shower, care for their personal hygiene and grooming, have their clothes laundered, use a phone or receive messages or mail. • Sweet Cheeks Diaper Bank helps to diaper babies in need collaborating with local agencies who care for pregnant women and new mothers. Over 16,000 babies in the local community need diapers every month and diapers are an essential need for a babies well-being. Overall this new collaboration will continue the long Franciscan tradition of serving the poor and it will be a lasting legacy of the Franciscan Friars from the Province of St. John the Baptist in over-the-Rhine. Now the underutilized St. Anthony Messenger building will become a safe haven for anyone in need. 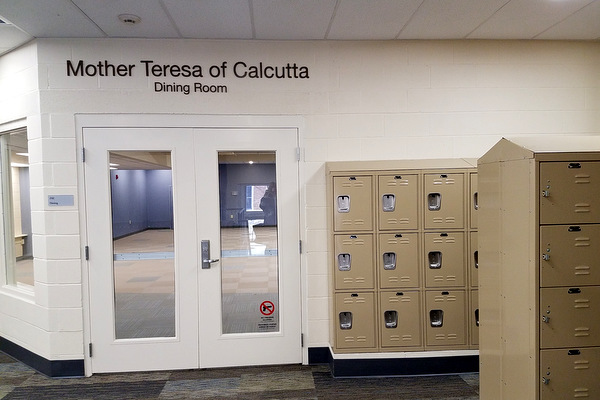 This new facility the St. Anthony Center named for the patron saint of the lost and forgotten will be devoted now to the care of the poor and the homeless.